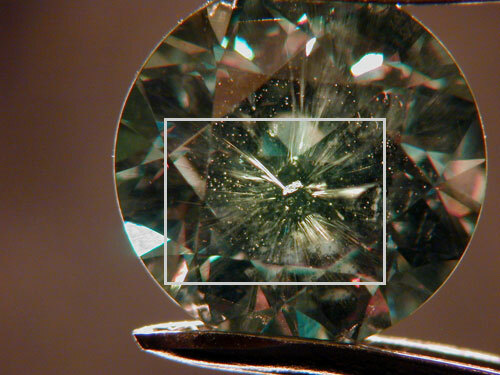 Note: Please bear in mind that the inclusions displayed here may at some point lead to judgments being made about them, but at present gemological laboratories and the gemstone industry are uncertain as to how to analyze inclusion characteristics. 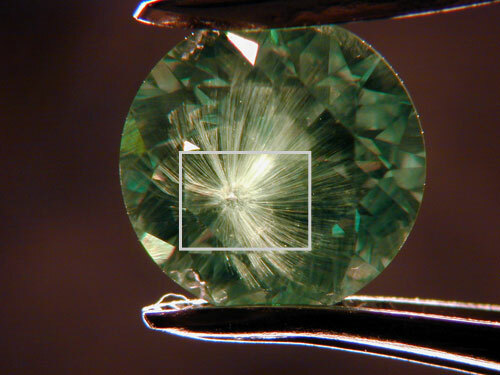 Pala International has been one of the main suppliers for demantoid garnets from Russia in the U.S. since 1995—not only buying parcels of rough from various mines but also funding a hands-on project at the Klodovka Mine with Russian partner Nikolai Kouznetsov. In an effort to educate as well as supply the market with demantoids, we have maintained due diligence in identifying and disclosing the true nature of the material. As different parcels of rough and cut stones were purchased out of Russia and collected at the Klodovka mine, efforts were made to keep different parcels separate. 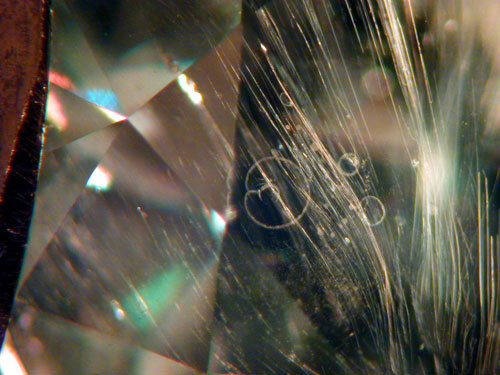 Some stones were determined to be untouched by man and marked as untreated. 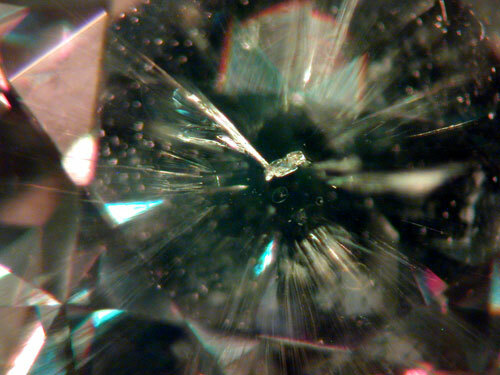 Later on, certain stones were determined to have undergone a low-temperature heating process, which is completely stable. 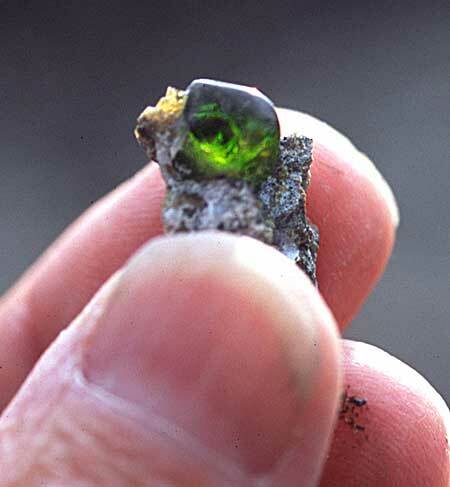 Some general trends were found on demantoid material from three main mining areas. These statements are very general and only speak for the large habit of material from each mining area. Along with our investigations into this material the major laboratories have been cataloging their findings as well. In the beginning the labs would not make the heat-or-no-heat call because it was undetectable. As their databases grew and internal characteristics began revealing more clues, new assumptions were made. Below are some of the current approaches the major laboratories are taking. The labs that do report country of origin are not able to pinpoint specific mines at this time. The big question is: Can you distinguish if the stone has been heated while still underground versus above ground by man? 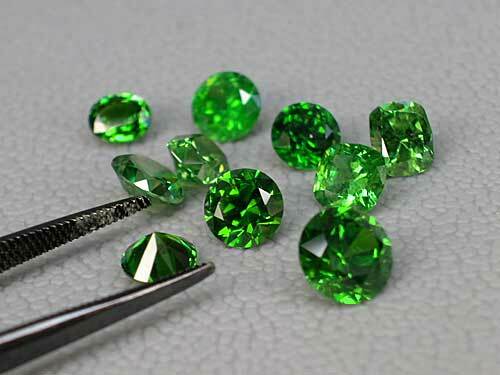 The objective answer is No, but there are many subjective opinions amongst members of the gem trade community. 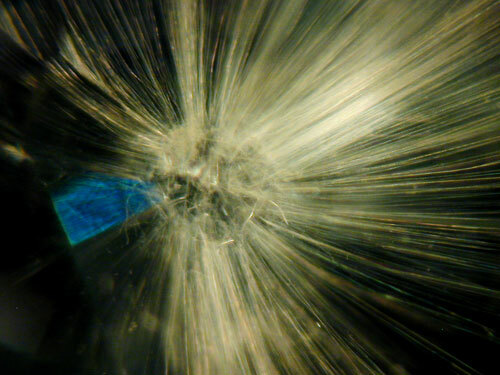 It is known that all demantoids have gained their existence and color by natural heating processes within the ground, associated with regional metamorphism.